Carnival Cruise Line will introduce its first-ever teppanyaki dining venue when the new 133,500-ton Carnival Horizon debuts in spring 2018. 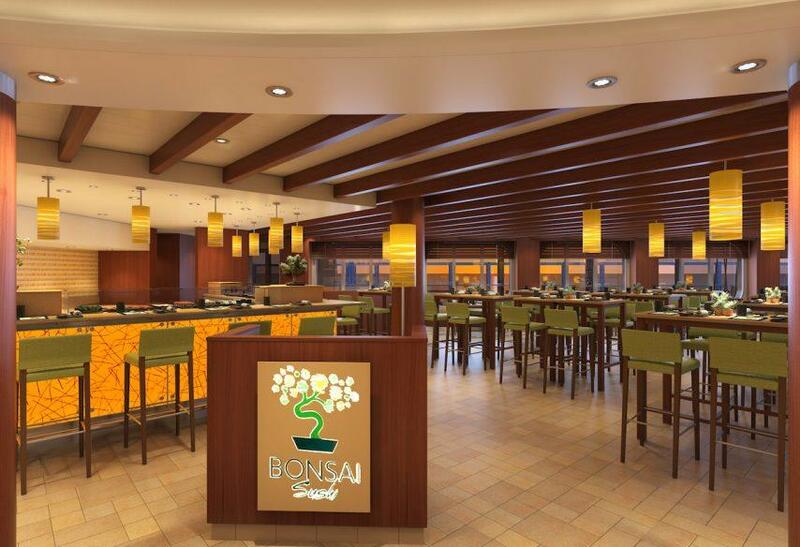 Located on the ship’s Promenade Deck, Bonsai Teppanyaki will offer a wide-ranging menu of authentic dishes from the Far East prepared by highly skilled chefs who will engage with diners at the custom-built stations that form the center of the venue’s two eight-seat tables. The new teppanyaki venue will be located within Carnival Horizon’s stand-alone Bonsai Sushi restaurant that will serve traditional sushi, sashimi, rolls, and “bento ships” on an à la carte basis. 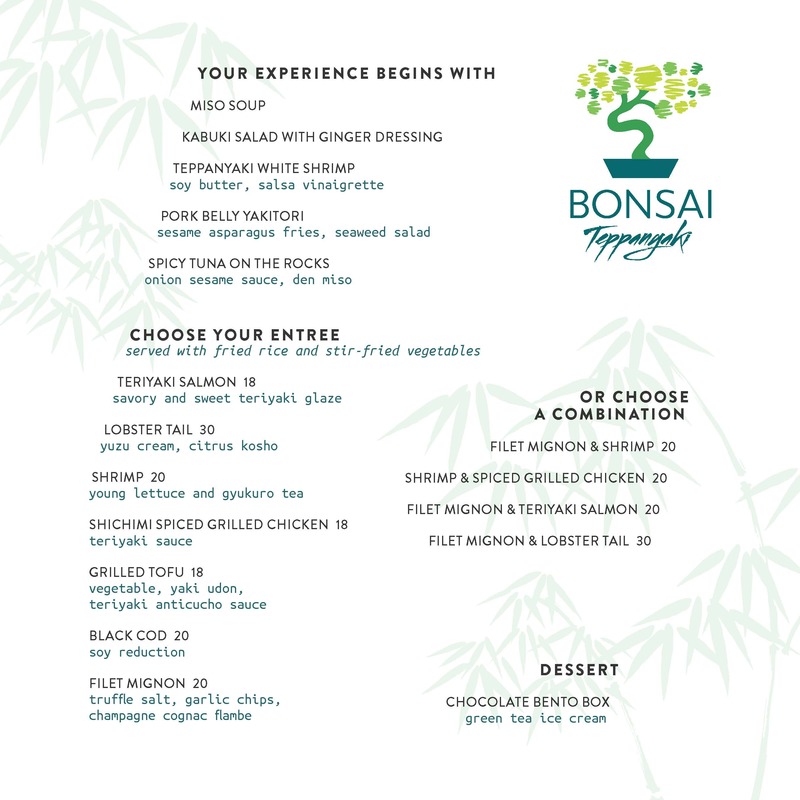 At Bonsai Teppanyaki, diners begin their meal with samplings of five appetizers, and then choose from a variety of entrées and combination dinners. All dishes include fried rice, stir-fried vegetables, and dessert. Prices for Bonsai Teppanyaki are on a per-person basis. The restaurant will be open for lunch on sea days and for dinner every night of the cruise. Reservations are recommended. Other dining venues on the new ship will include Cucina del Capitano family-style Italian restaurant, the Fahrenheit 555 steakhouse, Guy’s Burger Joint, the Mexican-themed themed BlueIguana Cantina, the 24-hour Pizza Pirate, and the New England-inspired Seafood Shack. Carnival Horizon will also feature a Dr. Seuss–themed water park; SkyRide, which was first introduced on Carnival Vista; and an IMAX Theatre. Carnival Horizon is scheduled to make its maiden voyage April 2, 2018, with a 13-day Mediterranean cruise from Barcelona — the first of four round-trip departures from that port. Carnival Horizon will reposition to the United States with a 14-day trans-Atlantic crossing from Barcelona to New York May 9–23, 2018. Following its summer schedule of 4-day Bermuda and 8-day Caribbean departures from the Big Apple, Carnival Horizon will shift to Miami and kick off a year-round schedule of 6- and 8-day Caribbean cruises beginning September 22, 2018. Carnival Horizon will also offer a special 2-day cruise to Nassau from Miami September 20–22, 2018.